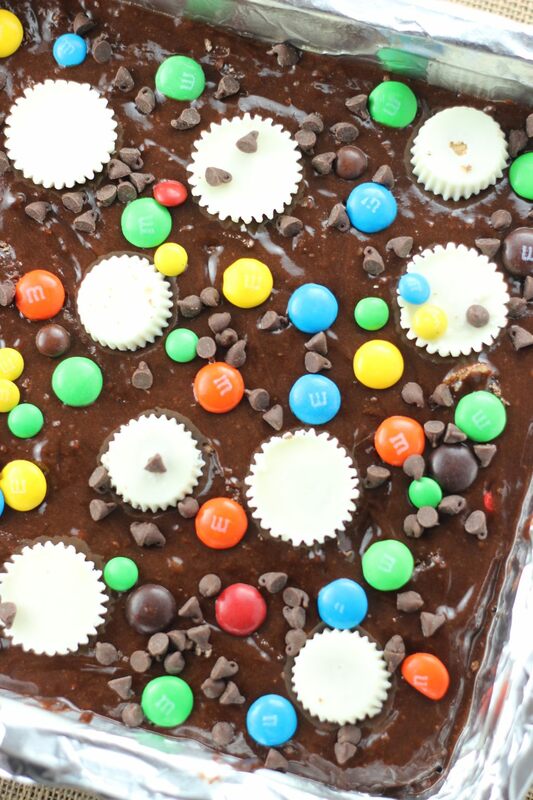 Super fudgy and chocolatey brownies loaded and layered with leftover Halloween candy! 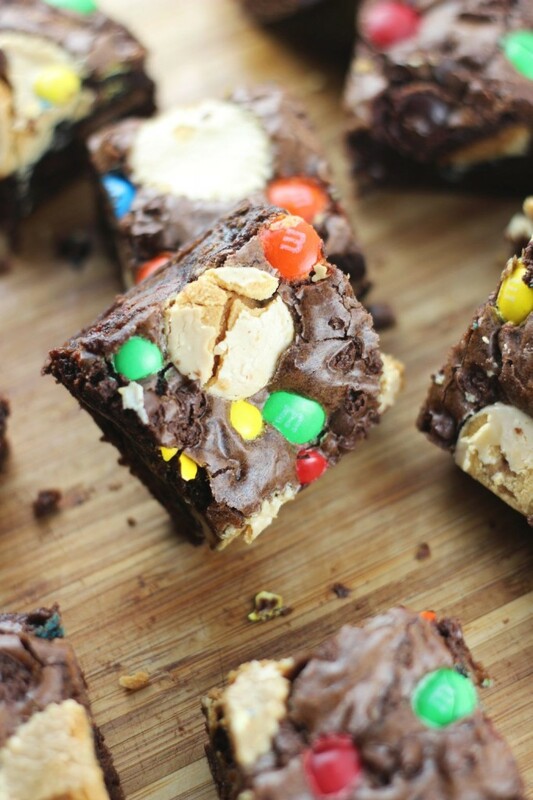 These Leftover Halloween Candy Bar Brownies are an easy and delicious way to use up your Halloween stash! 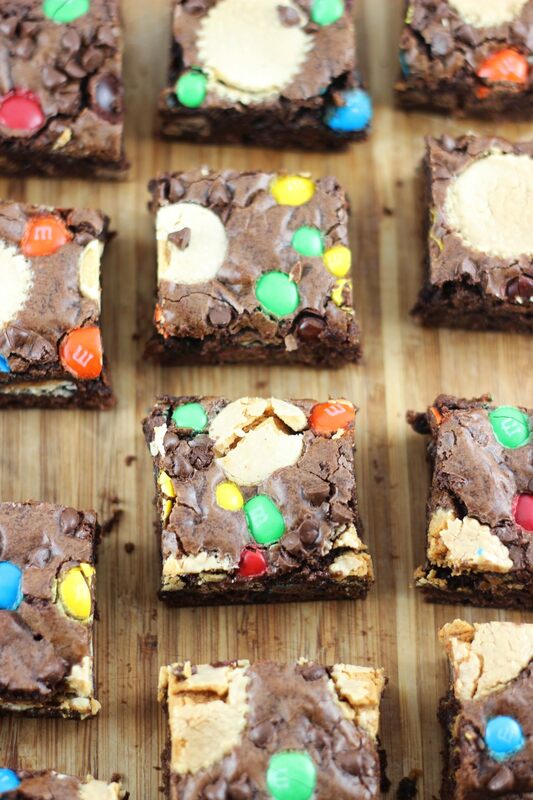 These Leftover Halloween Candy Bar Brownies are not to be underestimated – they’re so, so, so freakin’ good! 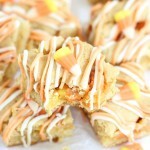 I have a few more Halloween candy recipes for you this week before we resume with everything pumpkin. I’m still not sick of pumpkin, and neither are all of you, and that’s great because I have more pumpkin recipes forthcoming than I can count. 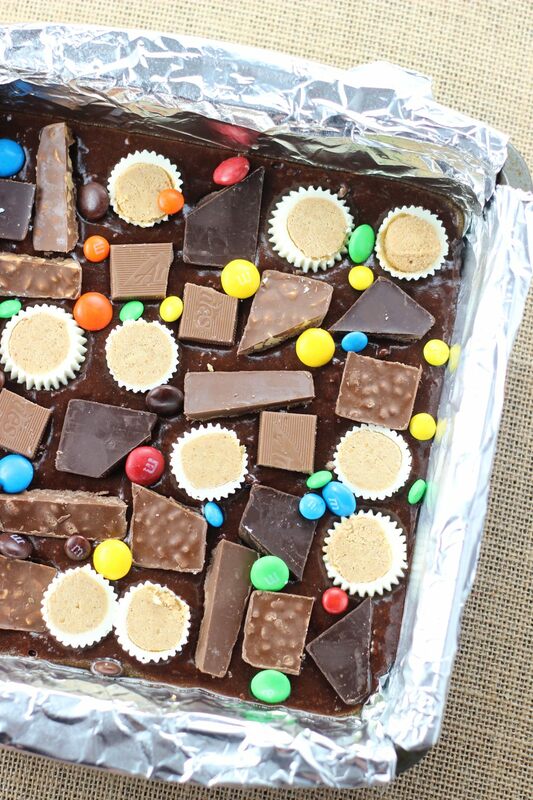 But we’re taking a pumpkin break for these Leftover Halloween Candy Bar Brownies! The good news is we still have about a month before Thanksgiving, so there’s plenty of time left to share more pumpkin stuff. Wait, Thanksgiving is in a month? That is truly frightening. Now that I think about it, Christmas is two months from tomorrow. Wow…. When I was making these Halloween recipes back in August, Halloween seemed so far away, and it felt totally ridiculous. Now it’s almost here, and that seems impossible how fast it came upon us! What are your plans? Attend a Halloween party? Don a costume? Hand out candy? 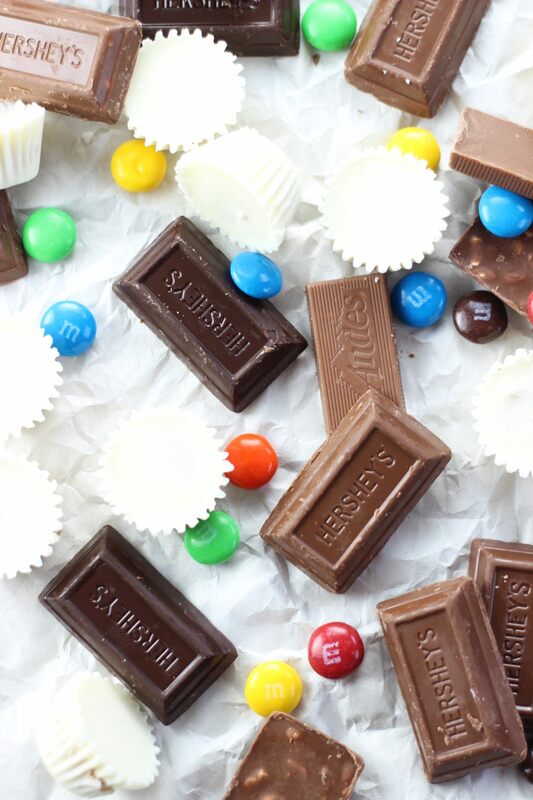 Whatever your Halloween celebrations entail, you’ll likely end up with candy. These Leftover Halloween Candy Bar Brownies another way to use up your stash! 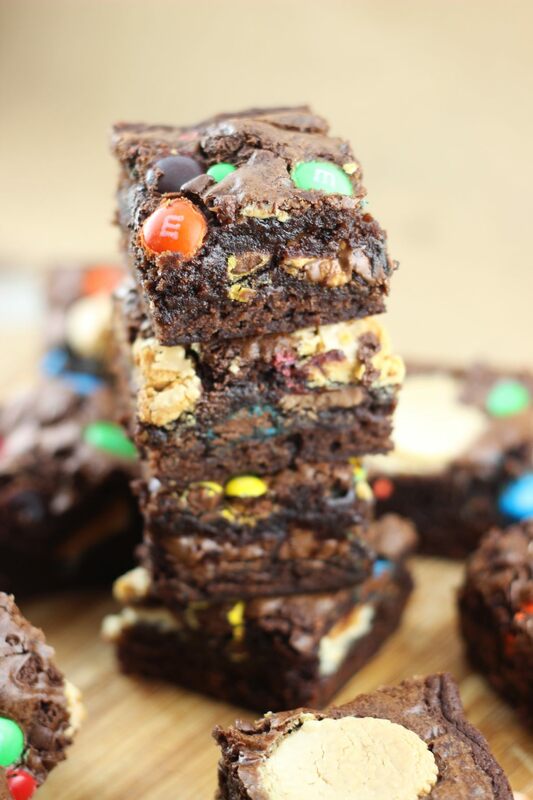 These Leftover Halloween Candy Bar Brownies are just the fudgiest, meltiest, and most chocolatey brownies you’ll ever try. 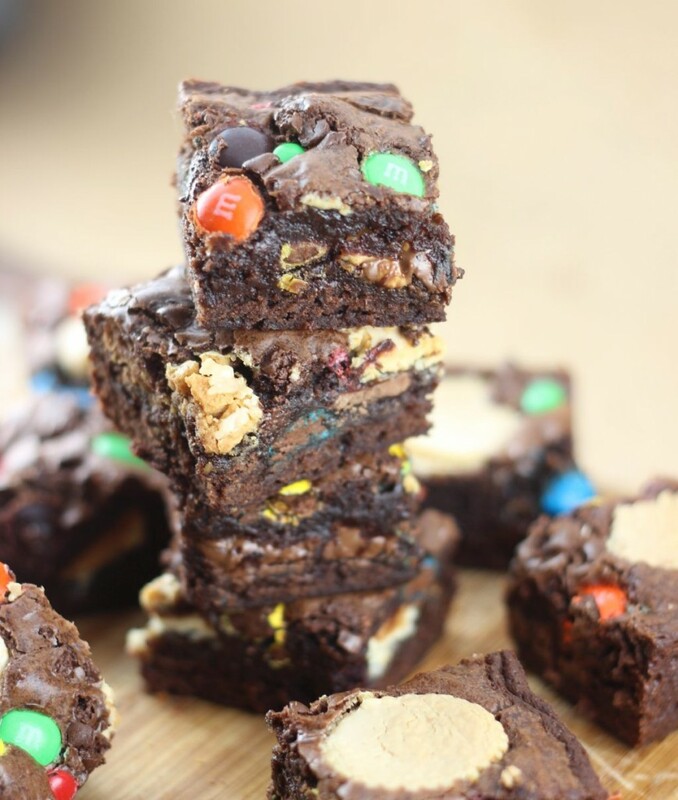 Alternate layers of brownie batter with layers of mini or chopped up candy bars, and all the chocolate just seeps into the brownies into every crook and cranny as they bake. The chocolate just seeps everywhere. These are fully-loaded with chocolate in every crevice. You can frost them if you want, but they really don’t need it. If I see an unfrosted brownie, I think: why bother? 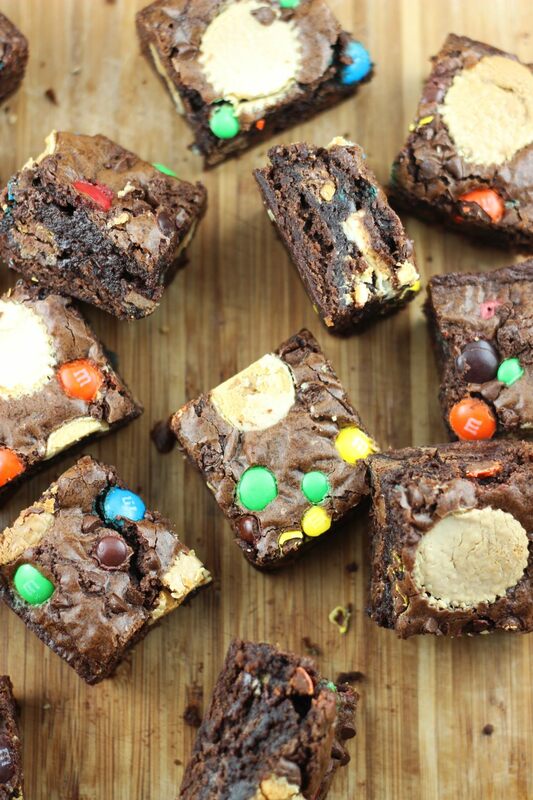 These Leftover Halloween Candy Bar Brownies are the rare exception though. They don’t need frosting, and might be too rich to include it. Maybe a really thin layer, but don’t go overboard. It’s also fun to see the candy bar pattern on top of the brownies, so that’s a second reason not to bother with frosting. As if you need a third, it obviously makes these brownies much easier to prepare if you skip that step. The most time-consuming part of making these is unwrapping the candy. That aside, you can have these prepared in five minutes. Yep, use a box mix. No one will know. So now you have two options for what to do with yourself on November 1st! 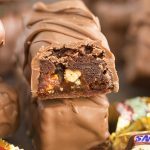 Make these Leftover Halloween Candy Bar Brownies or try this Leftover Halloween Candy Chocolate Bark! 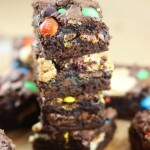 Super fudgy and chocolatey brownies loaded with leftover Halloween candy! Line an 8x8-inch pan with aluminum foil, extending it over the edges. Lightly grease the foiled pan. In a large bowl, combine the brownie mix, water, oil, and egg, and stir until combined. Pour half of the brownie batter into the prepared pan. 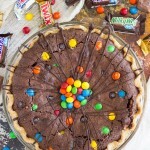 Scatter the brownie batter with 2/3 of the assorted candy. 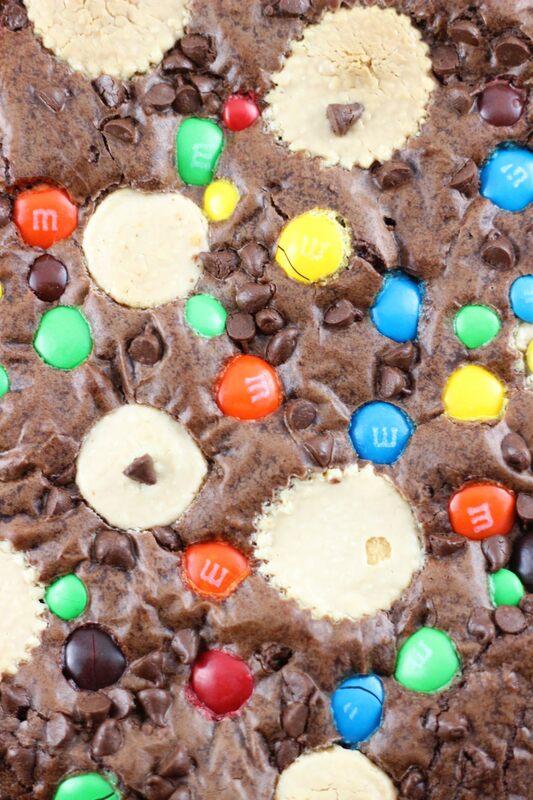 Carefully spoon and spread the remaining brownie batter over the candy layer. Scatter the remaining candy over the top. Bake at 350 degrees for 40 minutes, or until a toothpick inserted near the center comes out (mostly) clean - these will be pretty chocolatey with all the candy! Remove from pan by lifting edges of the foil. Remove the foil. Cut into bars, and EAT! You can’t post photos like these, I’m drooling all over my keyboard!! Fabulous idea and I’ll definitely be trying it. Awesome! These are sooooo good. 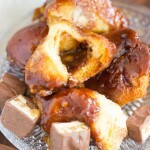 They are just so fudgy and melty and wonderful! Those are definitely loaded in every bite. Thanks for sharing with us at #Throwback Thursday. Hope to see you again this week. 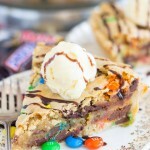 Love your brownie recipe idea, but, you have leftover Halloween candy?